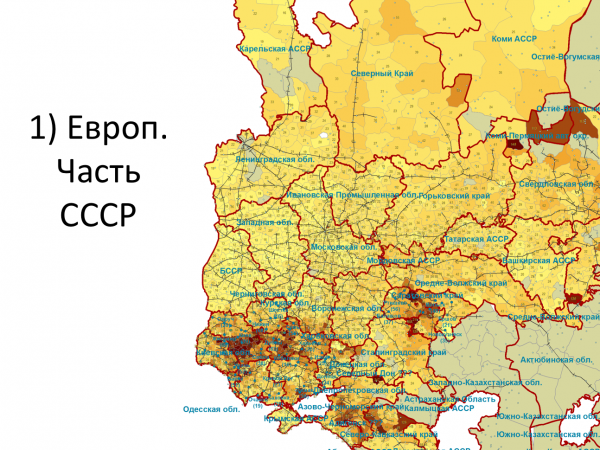 The talk will use maps generated by ARC GIS to represent statistical data on mortality and population age structures from the Soviet-era archives to provide regional and temporal indications of the changing intensity of famine in different regions at different times. The results differ somewhat from popular conventional understandings of the topic. Stephen's first degree was in Economics and Russian Area Studies at Keele University Great Britain. He then took a PhD in Soviet Economic History from Birmingham University, after studying for two years in Moscow at the Moscow Institute of National Economics-the Plekhanov Institute. He moved to the Melbourne History Department in 1985, and was for a while also the foundation director of the Centre for Russian and Eurasian Studies. He has spent a couple of years teaching at the Nazarbaev University in Astana in Kazakhstan, and regularly teaches at the High School for Economics in Moscow. He has written widely on Soviet Economic History, the History of Famines and Repression. He has just completed a couple of chapters for Cambridge University Press for a volume on the history of European famines, where he dealt with Russian and East European famines and jointly with Cormac O Grada with the history of famines in and after WW1 and WW2. He spent the first three months of this year as a visiting research fellow at the Japanese National research centre for Slavic and Eurasian Studies at Hokkaido University. In autumn he will be a keynote speaker at a number of conferences commemorating the 1917 revolution in Kazakhstan, Moscow, Paris, Chicago and Geelong.